Although there are some free homeschool printables available on the internet, sometimes it's fun to have a couple of sites to access instead of having to search the whole internet all the time. I wanted to share some new places where you can get homeschool freebies . Homeschoolers usually live on one income, so finances are tight and many have to look for free items for their children to use. It's even more fun to find ways to homeschool for free. Fun graphics to make any topic more appealing to children. Teacher's Notebook - This is a site where teachers and homeschoolers can post the items that they have created. There are a ton of free homeschool printables, resources, and pages here that are available every day. Many new items get added each month. Although not all the resources here are free, many of them are, and those that aren't free are usually very reasonably priced. I have a collection of free pages and ebooks that I have written on this site at Homeschool How To on the Teacher's Notebook website. 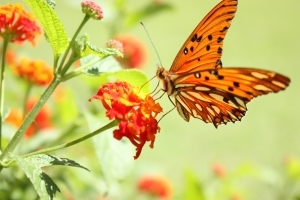 Although the site includes many public school teacher's creations, they still have some great ideas that can be used by homeschoolers. Teaching Blog Addict - This site has been named the #1 teaching blog on the internet and has only been available since February 2011! There are a good selection of authors (including me) that post on this site regularly. The site is easy to navigate with categories listed on the side along with all the latest blog posts of each of the authors. The authors post items that they use in their own classrooms but, again, homeschoolers can easily use these too. I encourage you to browse around at Teaching Blog Addict and see all they have to offer. These were just two new places that came to my attention that I wanted to share with you. When you go to these websites you will be able to see the wealth of information available to use any time you like. Although there are many websites out there for teachers, these two stand out to me the most because they seem to have the best ideas, most creative resources, and easiest sites to find what a homeschool mom might need. Free homeschool websites - There are a few sites here. If you want even more sites that I have reviewed, follow the link to get the book that I have compiled that gives you over 300 sites specifically reviewed just for homeschooling. Free homeschool worksheets - I wrote some free homeschool worksheets to help you add some spice to your homeschool year. Free homeschool Math - Here are 3 of the best homeschool Math sites I have found. Free homeschool ebooks - Here are some few free ebooks that I wrote that you can have access to those at this site. 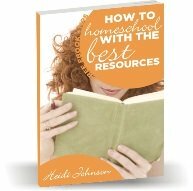 Along with the free ebooks you get free access to me by email plus updates of resources, ideas and tips I have about homeschooling. Free homeschool planner - I use this planner all the time. It has helped me write down all the book and curriculum possibilities I want for my children each year without getting overwhelmed. I'm able to write it all down, pray about it, and choose the books and resources we need without stress and guilt. Hopefully you will like this as much as I do. Free Home School Programs - More ideas on free programs you can get for homeschooling. Homeschool Forms - Here are a couple of forms that I have created that you can use as you like. I hope to add more forms here as I have time to create them. Homeschool for Free or Almost Free - Here is a page I have written based on the book Homeschool Your Child for Free. I've listed all my best tips for buying and reselling and implementing free homeschooling. Let me know if you have found any other free homeschool printables sites that I might not have mentioned that are your favorites.